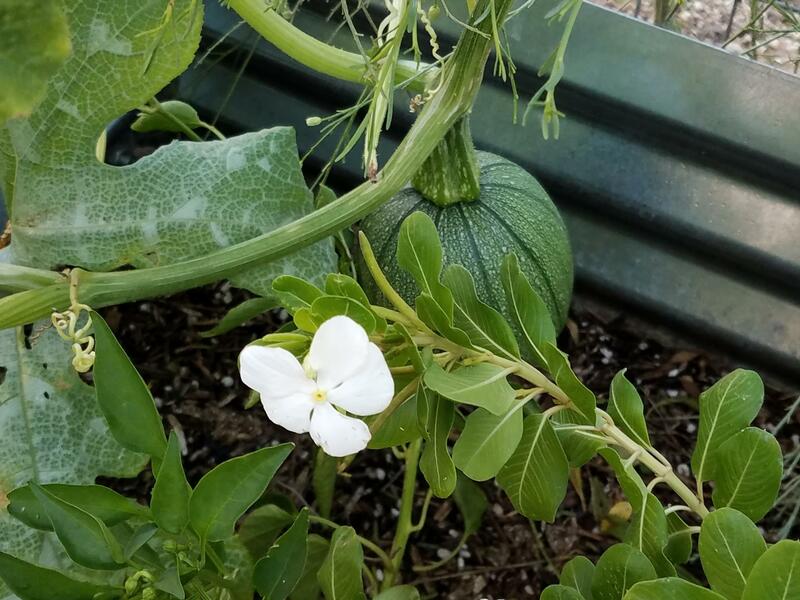 The Agua Caliente Elementary School (ACES) Community Garden began as an initiative of ACES teacher Svea Anderson and school nurse DeRose Yuhuru-Ohana in 2008. Ms. Anderson was teaching fourth grade and wanted to teach her students about aquaponics and plant cultivation. Nurse DeRose, with her generosity and community-mindedness, was inspired to create a community garden project. The project would be funded in part by a portion of the proceeds from the ACES Produce on Wheels distribution which she runs monthly during the produce season. Together, Ms. Anderson and Nurse DeRose wrote grants for the plant boxes, gathered seeds for plants, and solicited families for help. Nurse DeRose and her daughter assembled the chicken coop, came on weekends to water and feed, and helped maintain the garden through the summer. On many occasions, the two met at Lowes or Home Depot, filling the back of Nurse DeRose's truck with soil, containers, and plants. Nurse DeRose continues to run the POWWOW at ACES once a month, with all proceeds going back to the garden. Running the POWWOW is hard work- she is up at the crack of dawn and organizes all the volunteers and is in charge of the finances. This is how garden projects get funded, as well as with a stipend from the PTG. Nurse DeRose continues to care for the garden because it makes her heart happy. 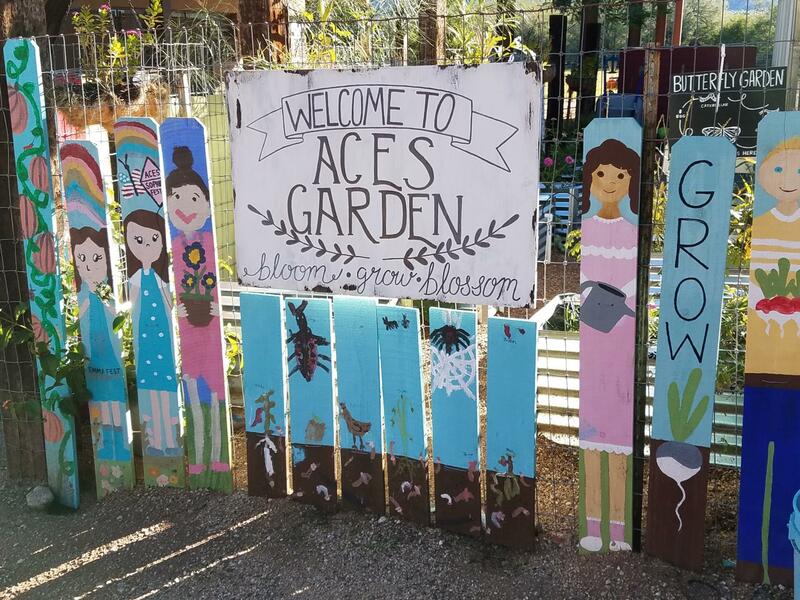 At the heart of this community project is also a dedicated community of staff members, students, parents, and grandparents who have come together to support the ACES community garden project over the years with their various skills and talents. The project, and the gardens, have continued to bloom and grow through the additional support of volunteers, like Jennifer Fest, a parent volunteer who started out helping with weekend watering, and who now coordinates classroom activities in the garden, and teaches the after-school garden club. The community garden has become an inspiration for family volunteerism. Families willingly volunteer on weekends to do garden maintenance, deliver soil, hang signs, and more. 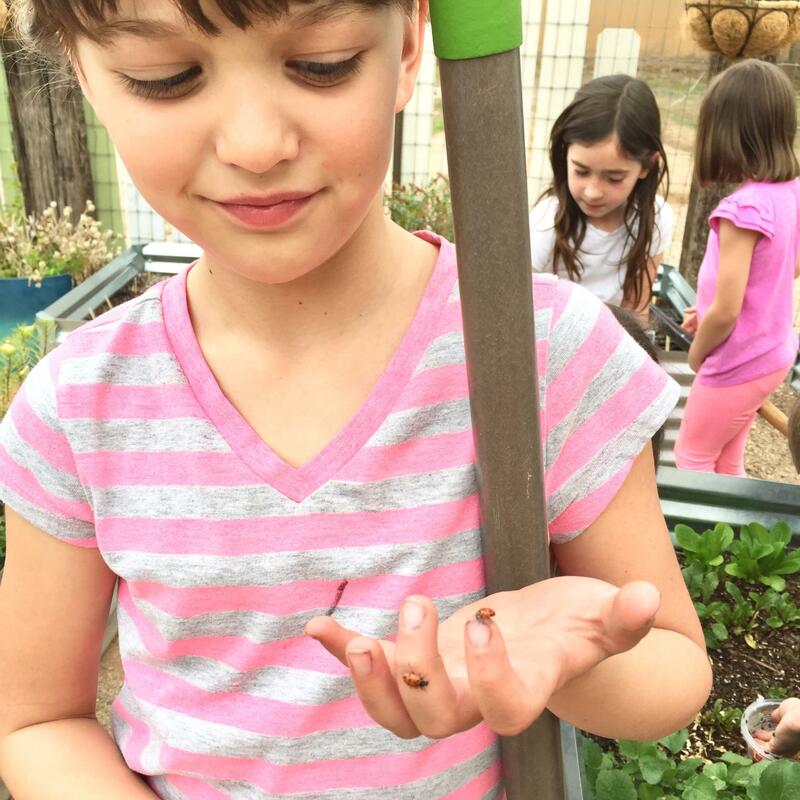 With the support of another ACES grandfather, the garden beds were watered throughout the summer, allowing students to return to beautiful blossoms and summer vegetables. Recent projects have included an irrigation and watering system which were provided through the generosity of a local family-owned company. The system, which will help ensure water efficiency, was installed by volunteers over a weekend this October. Sturdy steel trellises were also welded and donated by the talented father of an ACES student. Beautiful metal-art vases created by a grandparent adorn the gate posts, and the joyful white painted fence pickets were hand painted by Jennifer and ACES students. The pickets were donated by Mrs. Fest’s parents as proud ACES grandparents. 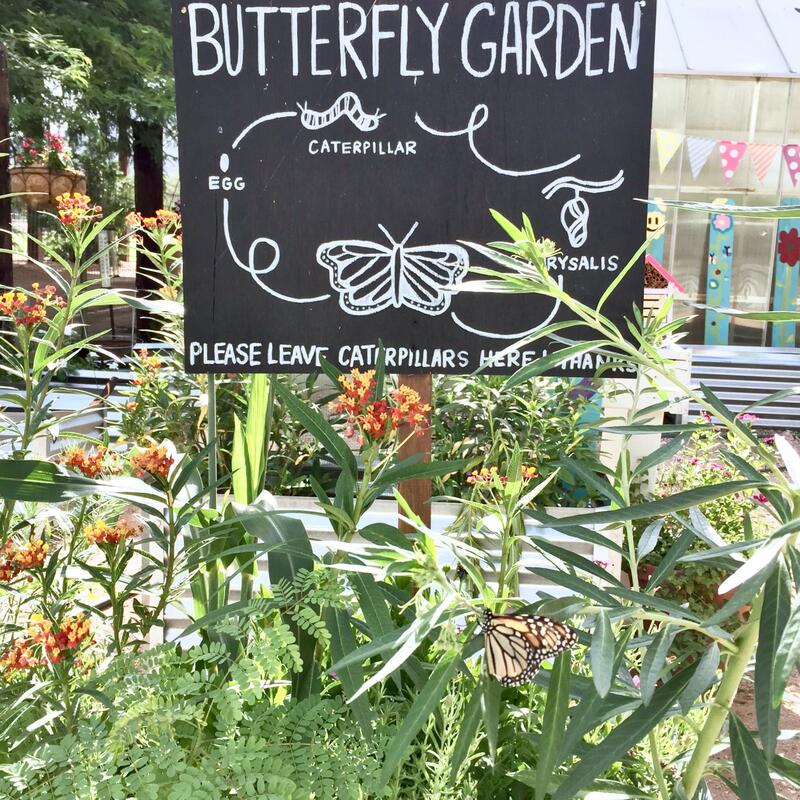 In the butterfly garden, a healthy crop of milkweed plants has been cultivated, which resulted in abundant monarch and queen butterfly chrysalises which adorned the garden plants and surrounding cacti. 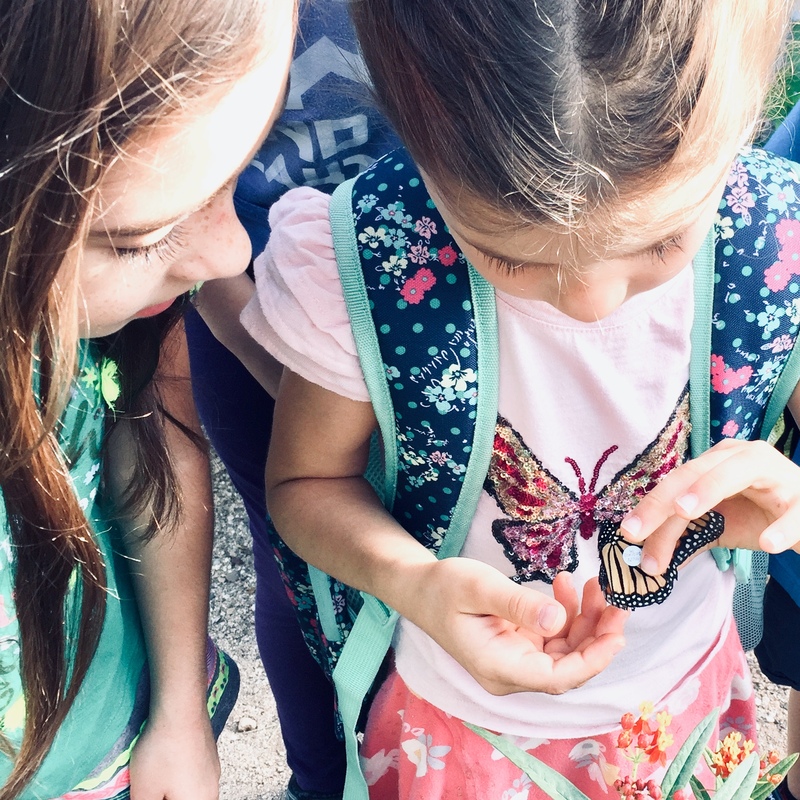 On a recent afternoon, third grade students were in the garden observing the monarch caterpillars and counting chrysalises. 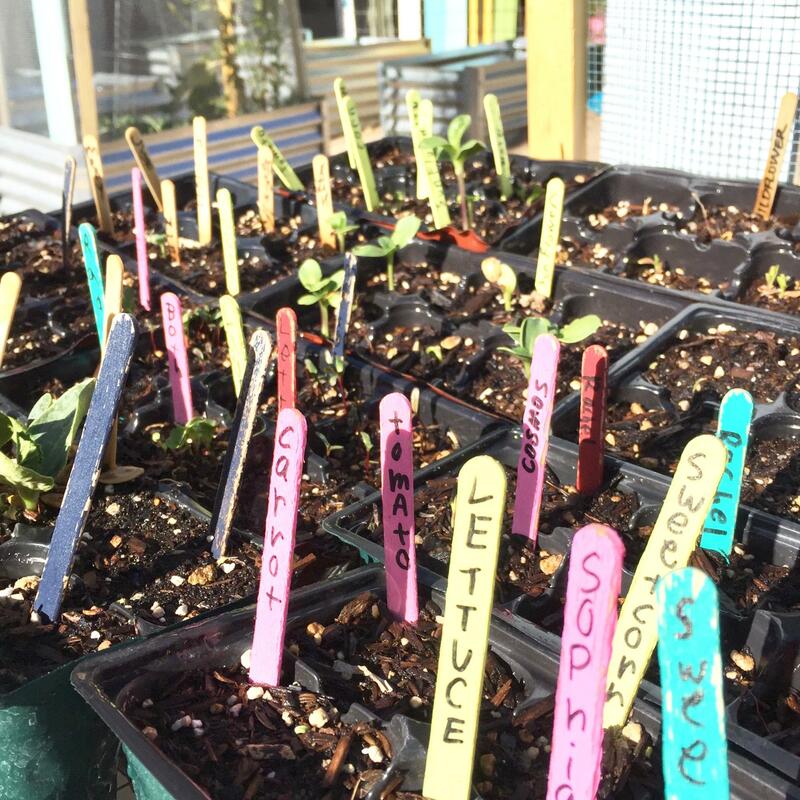 The community garden now has 22 garden boxes with plenty of room to have each classroom plant a garden to study, or to use in ways which support students learning about the natural world, and the beauty and bounty of gardens. Classroom teachers are encouraged to utilize the gardens for classroom projects, and there is plenty of room for all to enjoy. The gardens are being replanted with winter vegetables and flowers, including favorites like carrots, snow peas, kale, lettuce, Swiss chard, cilantro, parsley, beets, cabbage, broccoli, cauliflower, pansies & snapdragons. Parents are welcome to walk through the garden to observe how things are growing throughout the varied seasons. They will often see Nurse DeRose, Ms. Anderson, Mrs. Fest and others there watering and tending the plants, to ensure this community garden continues to be a beautiful and engaging place for students to learn and grow.